The Wisconsin State Assembly has just ended hours of deliberation with a 62-35 vote approving the state’s right to work legislation. 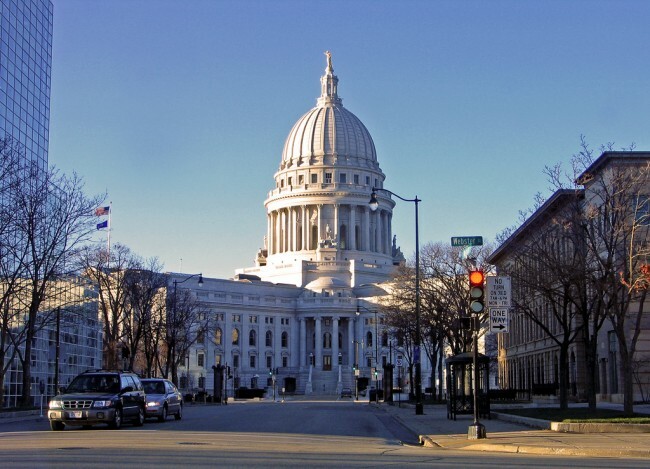 Governor Scott Walker is expected to sign the bill on Monday. The Senate passed the legislation late last week. Deliberation on the right to work legislation began in the chamber Thursday afternoon. House Republicans gave the floor to Democrats to argue their position until 9 a.m. this morning. Democrats were in full swing even as the sunrise approached. Excitement was brought back to the Assembly after scores of protesters attempted to storm the galleries with chants of “Right to work is wrong for Wisconsin!” Deliberation was paused for a little over 10 minutes as police escorted the protesters outside. In September, during this re-election campaign, Governor Walker said the right to work bill was not a top priority and would most likely not come up during the current session. However, nearing the end of February, when Republicans came forward and wanted to put it to a debate and then a vote, Walker said he would endorse the bill. Following this development, Democrats accused their conservative counterparts of pressuring Walker to sign, considering it may help his likely presidential campaign. Right to work laws do not allow private-sector employers to engage in a provision with labor unions that make its members pay dues to the union. Currently, 24 states have similar laws, and several others have been considering passing right work legislation.